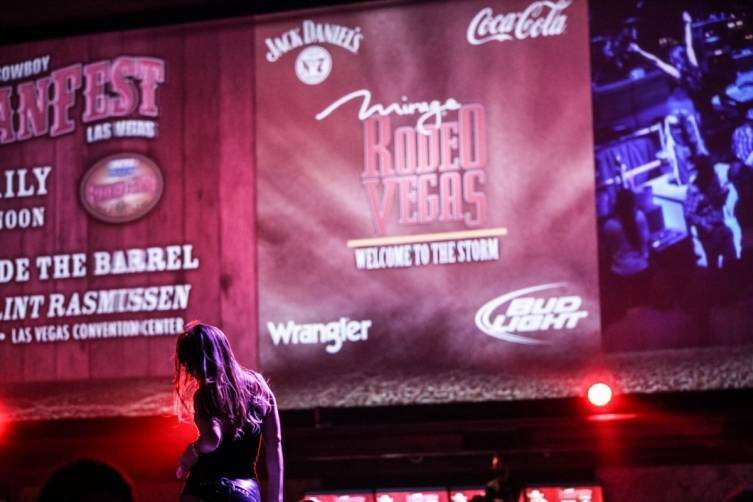 Sin City turned into Cowboy Town for the 2014 Wrangler National Finals Rodeo with the Mirage leading the charge. 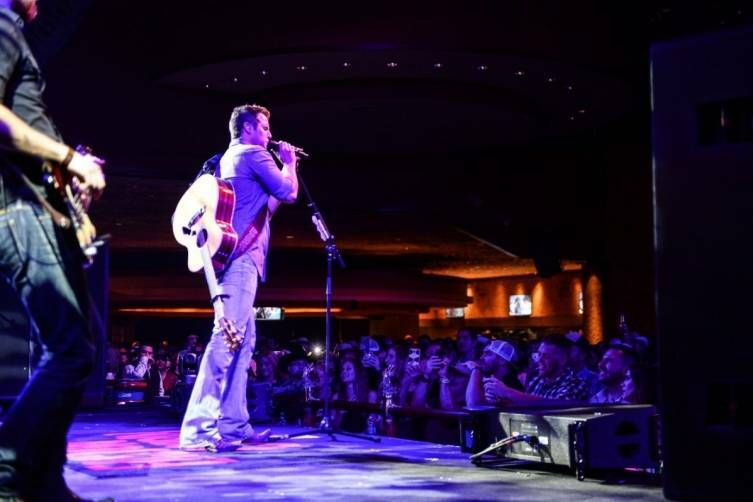 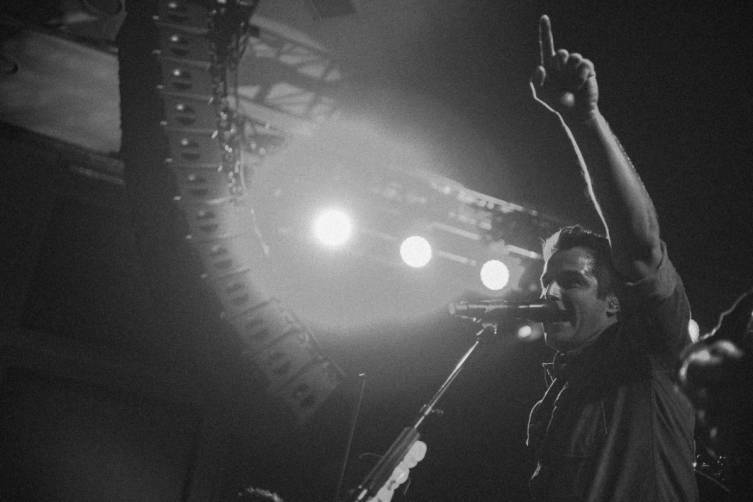 Country superstar Easton Corbin took over the “Rodeo Vegas” stage Friday, performing for a packed crowd at the Mirage Race & Sports Book. 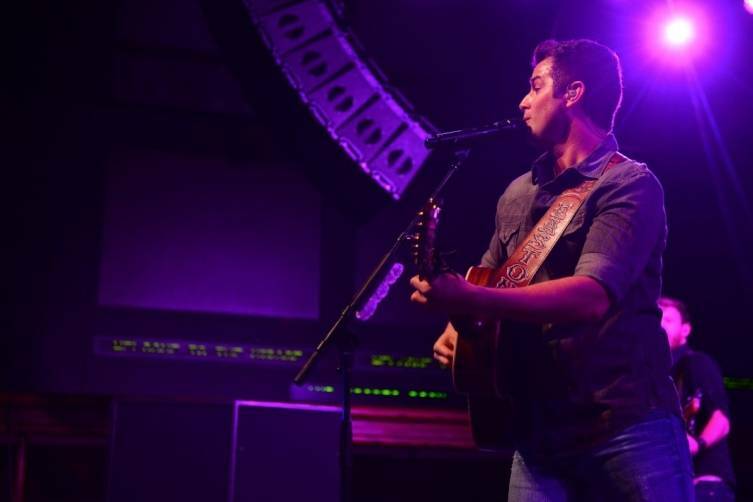 The Florida native performed some his best hits, including “Roll With It, “I’m A Little More Country Than That” and “I Can’t Love You Back,” as well as singles from his upcoming album — “Clockwork” and “Baby Be My Love Song.” Before the evening’s concert, “Rodeo Vegas” founder and NFR Steer Wrestling contestant K.C. 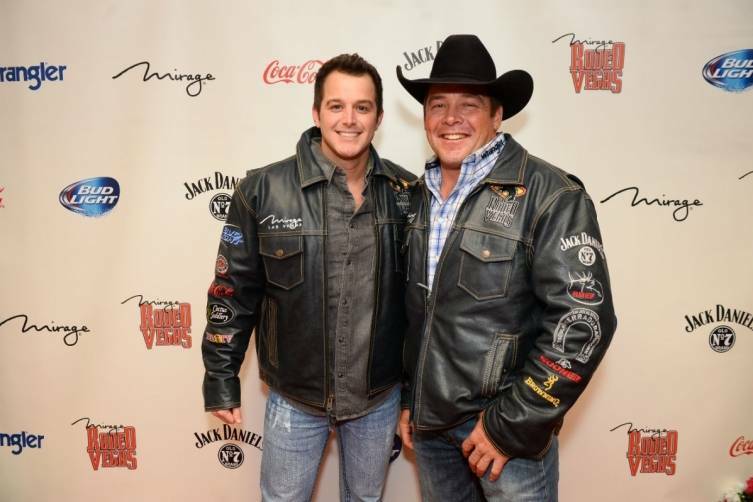 Jones joined Corbin backstage to present the artist with his official “Rodeo Vegas” jacket. 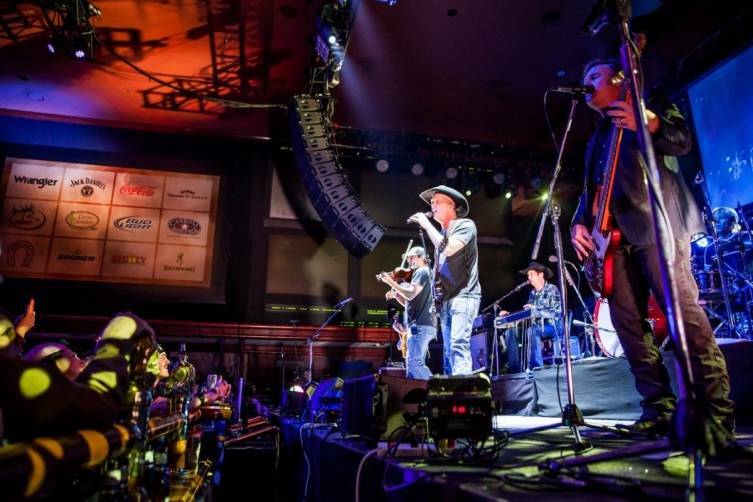 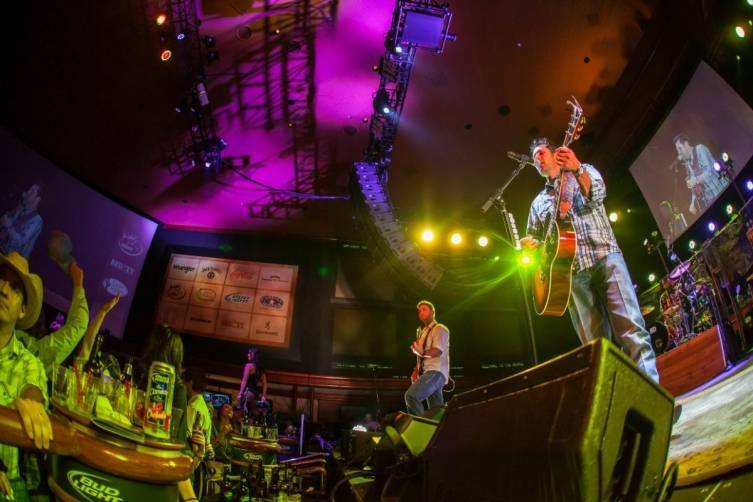 On Saturday, the Mirage went down the Texas country music road as country artists Kevin Fowler and The Casey Donahew Band performed for the crowded “Rodeo Vegas” party. 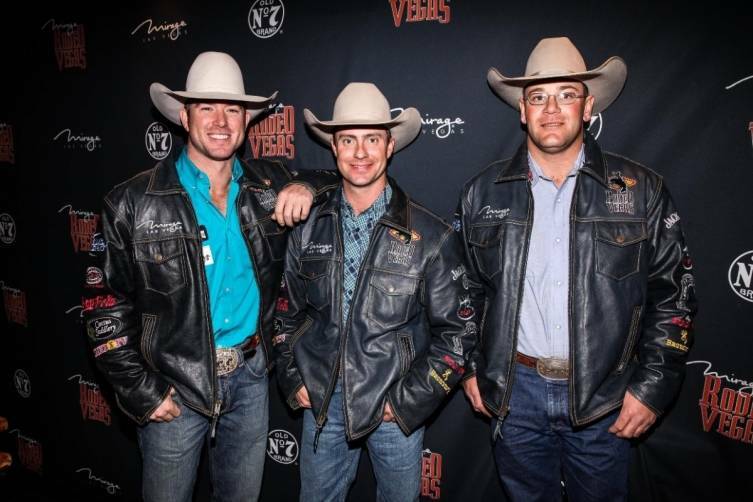 Several members of the Team Mirage contestant group, including NFR Saddle Bronc riders Chad Ferley (reigning World Champion Saddle Bronc rider) and Cort Scheer as well as NFR Steer Wrestler Seth Brockman, were on hand. 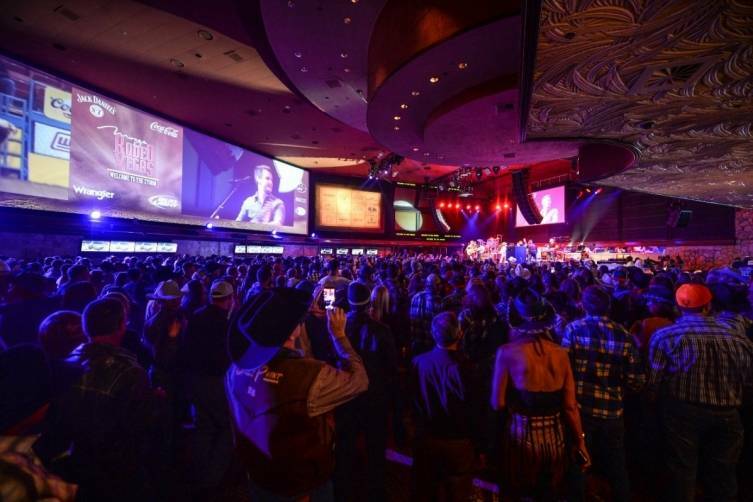 The Mirage is the home of the 11th annual “Rodeo Vegas,” the Official NFR After-Party of the PRCA, featuring free nightly live entertainment, drink specials and more. 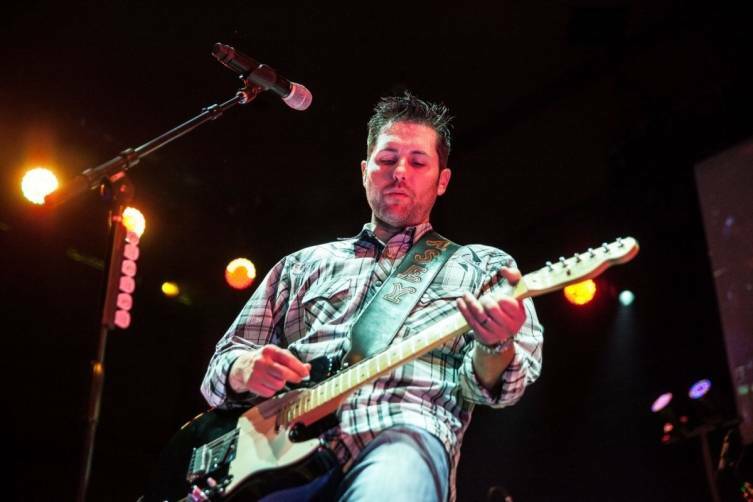 Artists including Randy Houser, Frankie Ballard, Jon Pardi and Craig Campbell, among others, will be performing throughout the remainder of the NFR event.